Beside double storey house, apartment and shophouse, BGC also build Luxury Detached house. 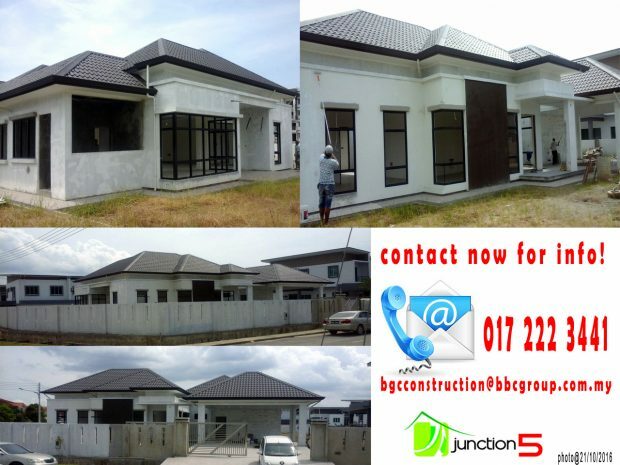 Located at Junction 5 Residence, BGC build one unit of Single Storey Detached house with built up area approximately 3,014 square foot. One of the very few that specially designed for customers who appreciate the easy access of big sized single storey mansion. Its comes with branded amenities Kohler bathrooms, Grocera, Rockwool insulator, Bluescope steel, UGI roofing, Rubina floors, Jotun paints, designed solid timbers, stainless gate and etc.